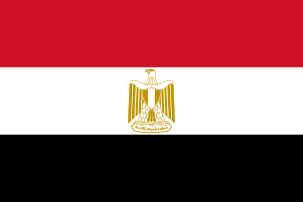 The Egyptian revolution of 1952 (Arabic: ثورة 23 يوليو 1952‎‎), also known as the 23 July Revolution, began on 23 July 1952, by the Free Officers Movement, a group of army officers led by Muhammad Naguib and Gamal Abdel Nasser. The revolution was initially aimed at overthrowing King Faruq. However, the movement had more political ambitions, and soon moved to abolish the constitutional monarchy and aristocracy of Egypt and Sudan, establish a republic, end the British occupation of the country, and secure the independence of Sudan (previously governed as an Anglo-Egyptian condominium). The revolutionary government adopted a staunchly nationalist, anti-imperialist agenda, which came to be expressed chiefly through Arab nationalism, and international non-alignment. Wholesale agrarian reform, and huge industrialisation programmes were initiated in the first decade and half of the revolution, leading to an unprecedented period of infrastructure building, and urbanisation. By the 1960s, Arab socialism had become a dominant theme, transforming Egypt into a centrally planned economy. Official fear of a Western-sponsored counter-revolution, domestic religious extremism, potential communist infiltration, and the conflict with Israel were all cited as reasons compelling severe and longstanding restrictions on political opposition, and the prohibition of a multi-party system. These restrictions on political activity would remain in place until the presidency of Anwar Sadat from 1970 onwards, during which many of the policies of the revolution were scaled back or reversed. The early successes of the revolution encouraged numerous other nationalist movements in other Arab, and African countries, such as Algeria, and Kenya, where there were anti-colonial rebellions against European empires. It also inspired the toppling of existing pro-Western monarchies and governments in the region and the continent. The revolution is commemorated each year on Egypt's national day, Revolution Day, on 23 July. The loss of the 1948 war with Israel led to the Free Officers' accusations of corruption towards the King and his court and the promotion of that feeling among the Egyptian people. The Free Officers Movement (or sometimes referred to as the Young Officers Movement) was formed by a group of reform minded officers which, backed by the Soviet Union and the United States, coalesced around a young officer named Gamal Abdel Nasser. They used an army general, Muhammad Naguib, as its head to show their seriousness and attract more army followers. 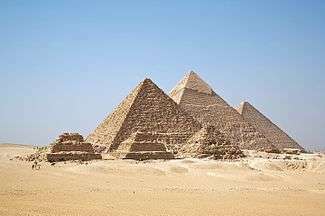 Causes • The Egyptian monarchy was seen as both corrupt and pro-British, with its lavish lifestyle that seemed provocative to the free officers movement who lived in poverty. Its policies completed the image of the Egyptian government being a puppet-figure in the hands of the British government. • Promoting the feeling of corruptness of several Egyptian institutions such as the police, the palace and even the political parties by the free officers. • The loss of 1948 war with Israel led to the free officers' blame of the King and their promotion of that feeling among the Egyptian people. As a result, a group of army officers who named themselves 'the free officers' movement' was formed by a young officer named Gamal Abdel Nasser . They used an army general, Mohamed Naguib, as its head to show seriousness and attract more army followers. In the warning that General Mohammad Neguib conveyed to King Farouk on 26 July upon the king's abdication, he provided a summary of the reasons for the revolution: In view of what the country has suffered in the recent past, the complete vacuity prevailing in all corners as a result of your bad behavior, your toying with the constitution, and your disdain for the wants of the people, no one rests assured of life, livelihood, and honor. Egypt's reputation among the peoples of the world has been debased as a result of your excesses in these areas to the extent that traitors and bribe-takers find protection beneath your shadow in addition to security, excessive wealth, and many extravagances at the expense of the hungry and impoverished people. You manifested this during and after the Palestine War in the corrupt arms scandals and your open interference in the courts to try to falsify the facts of the case, thus shaking faith in justice. Therefore, the army, representing the power of the people, has empowered me to demand that Your Majesty abdicate the throne to His Highness Crown Prince Ahmed Fuad, provided that this is accomplished at the fixed time of 12 o'clock noon today (Saturday, 26 July 1952, the 4th of Zul Qa'ada, 1371), and that you depart the country before 6 o'clock in the evening of the same day. The army places upon Your Majesty the burden of everything that may result from your failure to abdicate according to the wishes of the people. A coup d'état had originally been planned for 5 August, but the coup leaders advanced their plans to the night of 22 July, after General Naguib—one of the Free Officers—informed that group on 19 July that the Egyptian Royal Army high command had a list of their names. At 7:30 a.m., the Egyptian populace heard broadcast station issue the first communiqué of the revolution in the name of Gen. Naguib to the Egyptian people that stated the justification for the revolution or the "Blessed Movement". The voice everyone heard reading the message belonged to Free Officer and future president of Egypt, Anwar Sadat: The coup was conducted by less than a hundred officers - almost all drawn from junior ranks — and prompted scenes of celebration in the streets by cheering mobs. With his British support network now neutralized, King Farouk sought the intervention of the United States, which unsurprisingly would not respond. By the 25th, the army had occupied Alexandria, where the king was in residence at the Montaza Palace. Now plainly terrified, Farouk abandoned Montaza, and moved to Ras Al-Teen Palace on the waterfront. Naguib ordered the captain of Farouk's yacht, al-Mahrusa, not to sail without orders from the army. Debate broke out among the Free Officers concerning the fate of the deposed king. While some (including Gen. Naguib and Nasser) viewed the best solution as to send him into exile, others argued the urge to put him on trial and even execute him for the "crimes he committed to the Egyptian people". Finally, the order came for Farouk to abdicate in favour of his son, Crown Prince Ahmed Fuad - who was acceded to the throne as King Fuad II - and a Regency Council was appointed. Departure into exile finally came on Saturday, July 26, 1952 and at 6 o'clock that evening, the king set sail for Italy with protection from the Egyptian army. On July 28, 1953, Muhammad Naguib became the first President of Egypt, which marked the beginning of modern Egyptian governance. The Revolution Command Council (RCC), made up of the previous nine-member command committee of the Free Officers in addition to five more members, chaired by Naguib, was formed. Ali Maher was asked to form a civilian government. When the Free Officers started isolating elements sympathizing with the Soviet Union, communist cadres led workers riots in Kafr Dawar on August 12, 1952, which resulted in two death sentences. Ali Maher who still sympathized with the British resigned on 7 September following differences with the officers, principally over proposed land reform. Naguib became prime minister, with Nasser as deputy prime minister. On 9 September, the Agrarian Reform Law was passed, which immediately seized any European-owned, especially British owned property in Egypt. This was followed by signaling a major land redistribution programme among peasant farmers which gained most of the seized land. In a bid to stop concentration of land ownership, the regime placed a ceiling of 200 feddans on land ownership. On 9 December, the RCC without due process decreed that the 1923 Constitution of Egypt was abrogated "in the name of the people." In opposition to the Constitution with its overt secularism was the Muslim Brotherhood. Additionally, contrary to orders issued by the Council, members of the Liberation Rally accumulated much of the seized non-Muslim property and distributed amongst their closed networks. Angered at being left out of the political and economic spoils and seeing a continuation of secularism and modernity within the Free Officers Movement such as had existed under the King, the Muslim Brotherhood organized its street elements. From June 1953 into the following year, Egypt was wracked by street riots, clashes, arson, and civil tumolt as the regime and the Muslim Brotherhood battled for popular support. The anniversary of the revolution is commemorated on Revolution Day, an annual public holiday in Egypt, on 23 July. ↑ Ibrahim, Sammar. 'Profile: Anwar Al-Sadat', Egypt State Information Service, Retrieved on 2008-07-20.